Give your favorite felines the ability to come and go as they please. 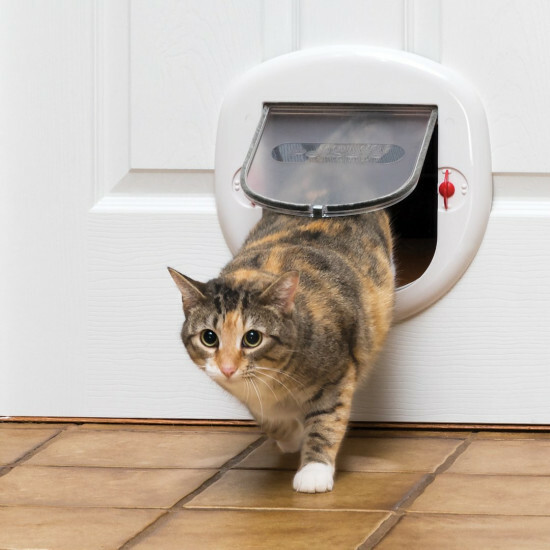 This cat door is generously sized for large cats or even small dogs up to 25 pounds. 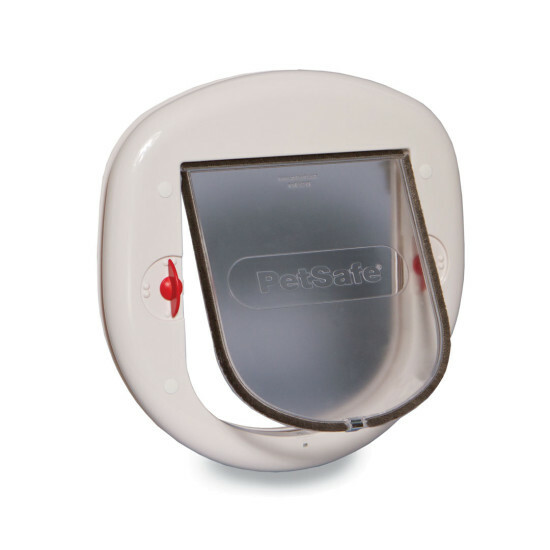 The 4-Way lock allows you to choose from four access options to control your pet’s access in and out of your home: open, locked, in-only or out-only. The open option allows entry or exit, the locked option does not allow entry or exit, the in-only option allows entry but no exit and the out-only option allows exit but no entry. 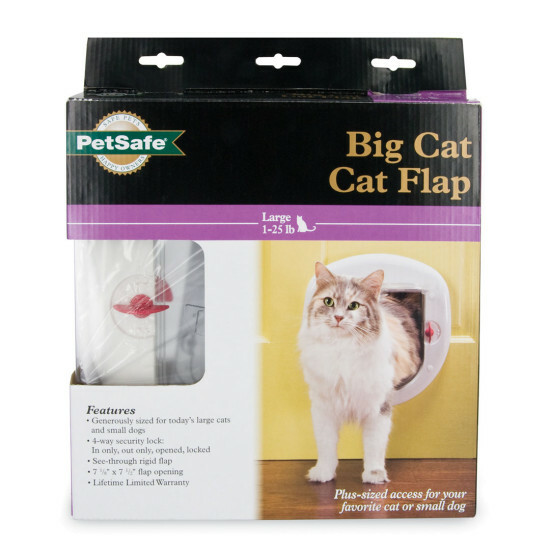 The Big Cat Door can be installed in wooden, PVC, metal and glass doors or windows. Before installing in glass, consult a professional glazier. For installation help and tips, view the installation video below. 7 1/8" x 7 15/16" Up to 25 pounds	 11 3/8” x 11 3/8”	 9" x 9 1/4"